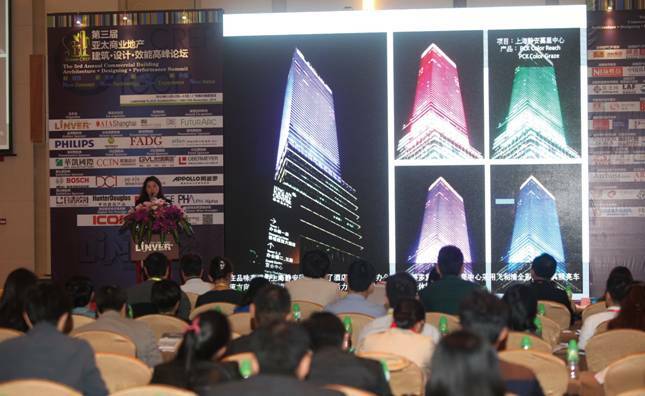 The 3rd Annual Commercial Building Architecture-Designing-Performance Summit & 2014 Asia Pacific Green-CREP Award Ceremonyhad been a great success on 12th-13th November, organized by Linver Insights, co-organized by AIA Shanghai, endorsed by Econet China, supported by FuturArc, Sunvote and ICON, in Langham Place, Guangzhou. 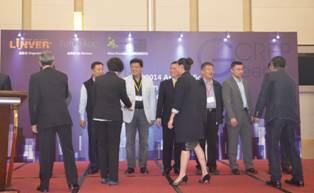 Property developer delegates are from MTR, Nan Fung Group, Shui On Land, Shou Gang Group, CMPD, Bai Lian Group, Sino-Ocean Land, Shi Mao Group, Gemdale Group, SCP Capital Company Ltd,. 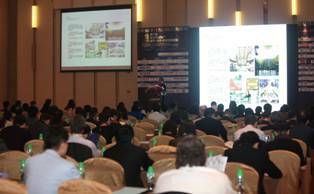 Aoyuan, R&F Properties, Suning Real Estate, Excellence Real Estate, etc. 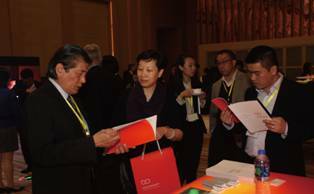 Hotel groups delegates are from The Hongkong and Shanghai Hotels Limited, Langham Hospitality Group, IHG, COFCO Corporation( Hotels Division) , Argyle Hotel Group（Australia）, Hilton, Diaoyutai MGM Hospitality,Ltd, Shenzhen Air Hotel, etc. 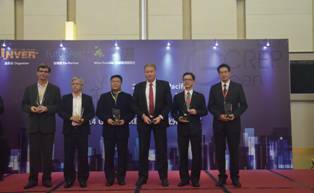 Design delegatesare from SOM , Moore Ruble Yudell, AECOM, TFP Farrells, Callison, HBA, ATLAS(China) Planning & Design, FADG, Pesch & Partner Architekten Stadtplaner, Obermeyer, GVL, GDF International, La Cime International Pte. Ltd, DCI, CCTN, PLACE DESIGN GROUP, PH Alpha Design, etc. Products & Solution providers are from Philips (China), Bosch（China）Investment Ltd, Hunter Douglas (China), Motorola Solutions, Laufen Bathroons AG, Bureau Veritas, Glodon Software, Huizhou CDNd, Mayair Technology (China), etc.